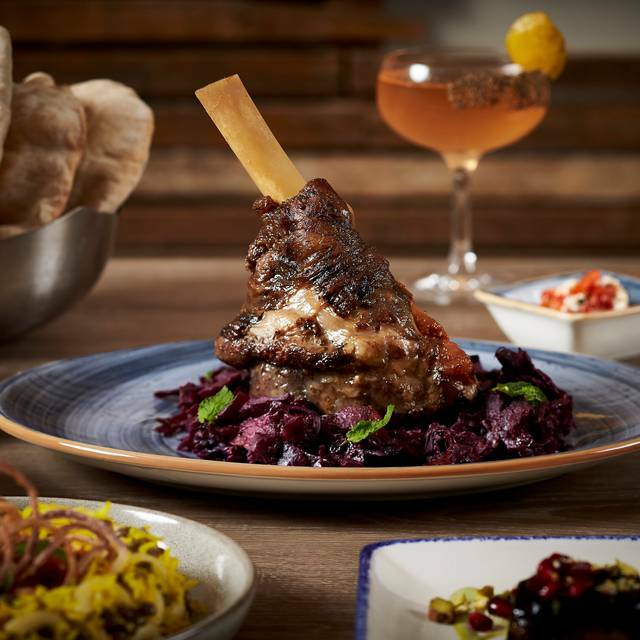 Sababa is located in the historic district of Cleveland Park and within walking distance to the National Zoo, and Uptown Theater. 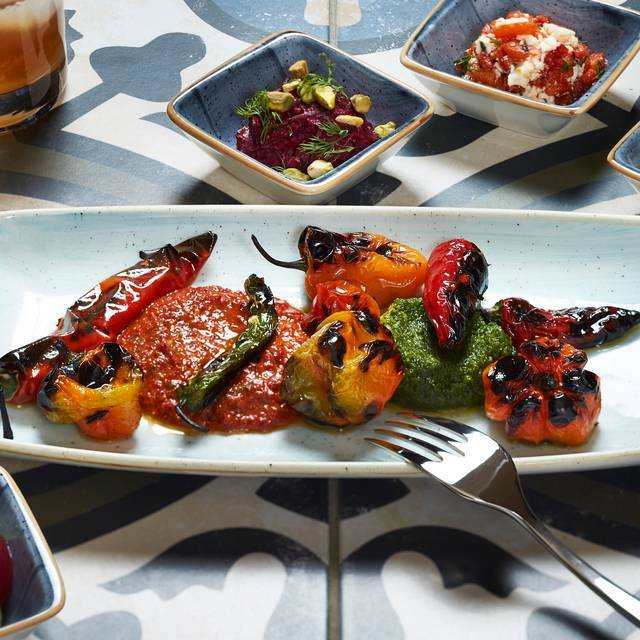 Sababa is a neighborhood favorite serving modern Israeli cuisine. Limited Valet parking is available on Monday thru Saturday evenings for $10.00 beginning at 6 PM. Due to the location of our parking lot, it can take a few minutes for the valet to bring your car back. Your patience is appreciated. Due to the size of our parking lot valet is taken on a first come first served basis. We also recommend uber or lift as alternates. We ask that you pay for valet parking inside the restaurant with your server as valets cannot take payment. Saison | Hellbender 'Agosto', D.C.
Just came back from Israel and have been to Zahav in Philsdelphia many times. This was better than Zahav and on par with authentic Israeli cuisine. A wonderful experience. Excellent food and service. Will definitely return. 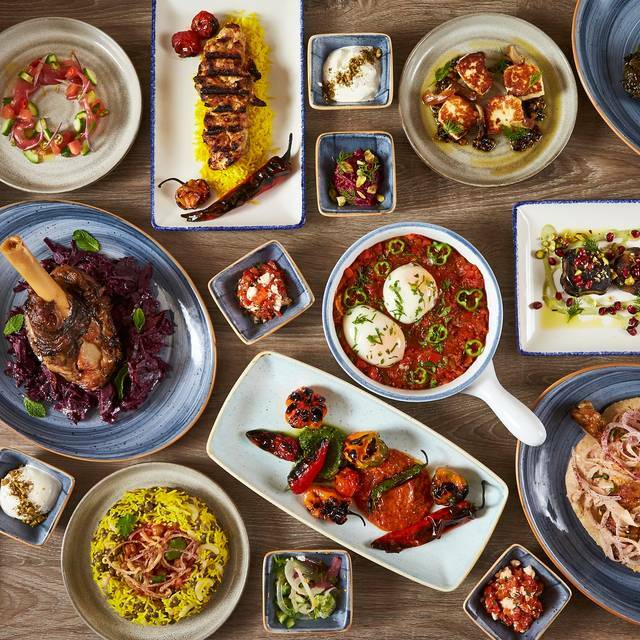 While I was looking forward to a spectacular Israeli type meal, I enjoyed a standard set of dishes which would be considered tasty but unremarkable at most Israeli restaurants. 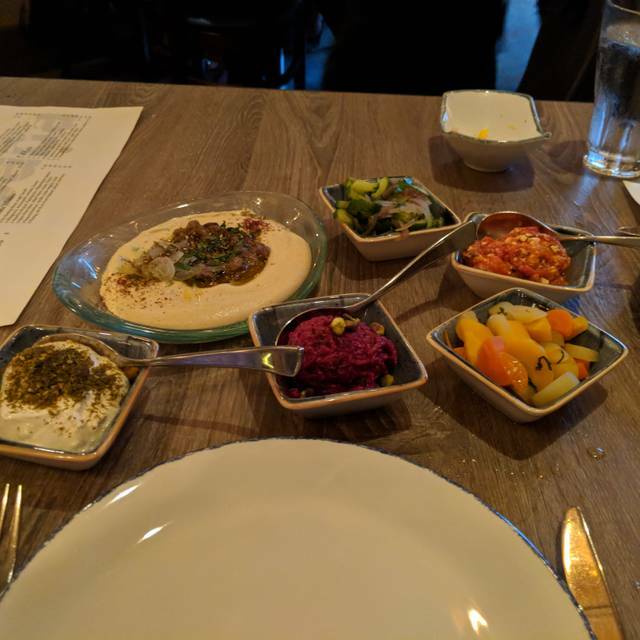 The cauliflower was a standout dish, but this was in no way in the tradition of Zahav in philly or other adventurous middle eastern restaurants. 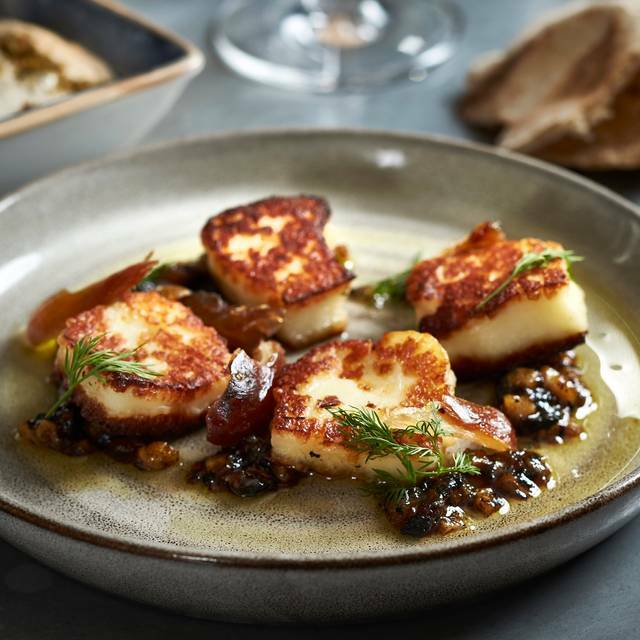 Perhaps it's time to push the boundaries a little from traditional Israeli to something that draws on many culinary traditions. Great food. Especially liked the eggplant and salmon. Creative, fresh, delicious food graciously served by friendly, knowledgeable staff. 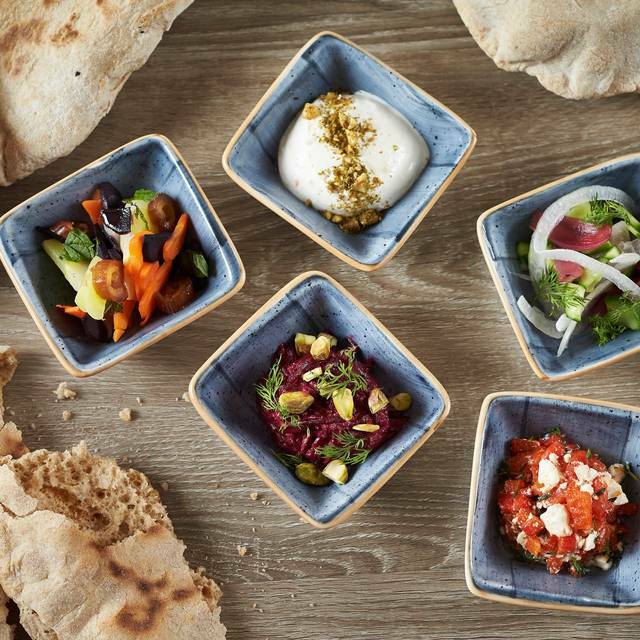 We enjoyed the hummus with ful, fried cauliflower, additional pita and za’atar, roasted halumi and mahalabia. All were delicious. The drinks were delicious as well. The staff members were very polite and kind. The room was dark and the candles helped to create a relaxing ambiance. This place is a beautiful oasis in the middle of the city. This is my fourth visit to the place. I've loved everything I ordered. I was pleasantly surprised by the atmosphere! So nice and inviting! The service was excellent, the good was amazing and the steak kabob was superb! You could cut the meat with a butter knife! Felt like I was in New York City in a great trendy restaurant! 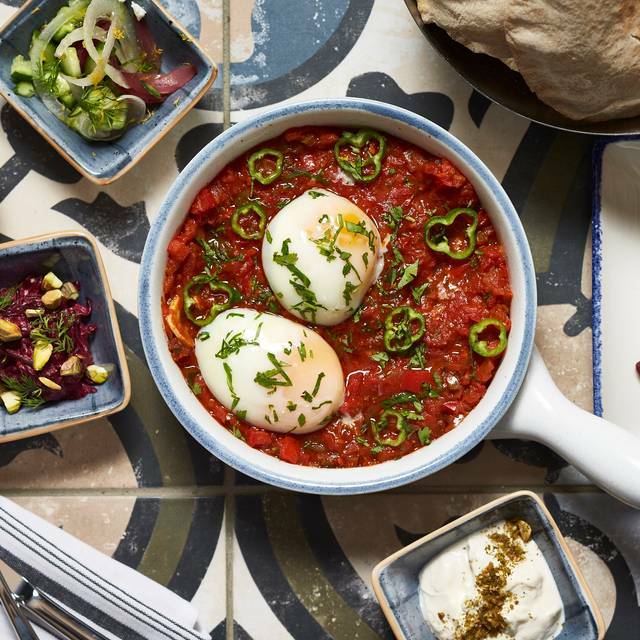 Great modern Israeli food. Small plates are very tasty and so are the large plates. Fabulous. Food, Service, Atmosphere, everything was ideal. Our server Kit was extremely attentive and knowledgeable and full of great suggestions on wine and food. Beautiful space and some truly unique dishes. Definitely worth the trip away from the more heavily trafficked DC neighborhoods. We took our daughter here for her birthday. We had an amazing time. We were quickly seated, and our drink orders taken. We shared a number of small plates to start, then finished with 3 main plates which were shared among us. Excellent, fresh, unusual flavors. Delicious. Amazing craft cocktails. Nice wine selection. The food was great, atmosphere fun and our server knowledgeable and delightful! Great experience for our first meal in DC. Food was amazing!!! Our second time to the restaurant, could not wait to come back since our first trip went so well. This time, though, everything changed, the food lacked flavor and freshness. We’re wondering if the Chef changed in the few weeks away? We’re not sure if a third trip will be in the offing, sorry. Excellent food and very attentive service. The outdoor deck on the second floor was perfect. Would highly recommend one of their signature cocktails and the grilled eggplant! Will definitely be going back. Food was delicious, so many great flavors! Food was terrific. Noise level was high. Nevertheless, we will certainly eat there again. Saw this restaurant in a top ten and decided to try it while visiting Chicago. Took an Uber - 15 minutes from city center. Arrived and our table was not ready. We were told to wait in the front area. A waitress came by but neglected to take a drink order as well as clean crumbs off off the seat next to us. Were seated by friendly hostess. Waitress was sullen and seemed resistant to being the least bit helpful. Special hummus was delicious, salmon moist and tasty, falafel good too. Rice and lentil dish had flavours we didn't care for, Israeli salad was good. Tasty meal, but could have been made much more enjoyable had service been better. The food was fresh and delicious. Very creative use of tastes and spices. Excellent service and unusually quiet for a DC restaurant. Small plates were especially good! Very pleasant staff and service. I have been to Sababa several times. My dad was in town visiting, so I wanted to take him. We enjoyed some of my favorites including the hummus of the day and the lamb shank. Everything was delicious. 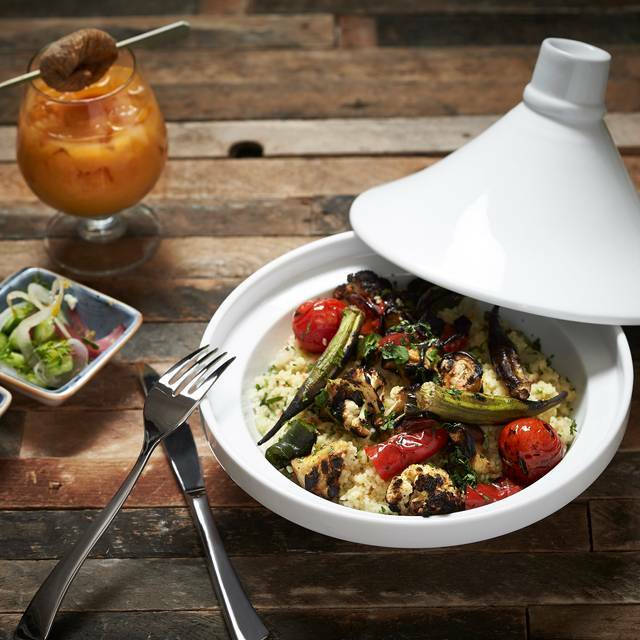 Loved the experience at Sababa — indeed a cool place just like it’s name Sababa! The service was excellent, very friendly and helpful. They have a variety of non-alcoholic drinks and house cocktails. We enjoyed Halva World Away. Starters were great, highly recommend sardines. The fish of the day was fresh and very tasty. Finally, the desert Konafi cake was simply awesome!! 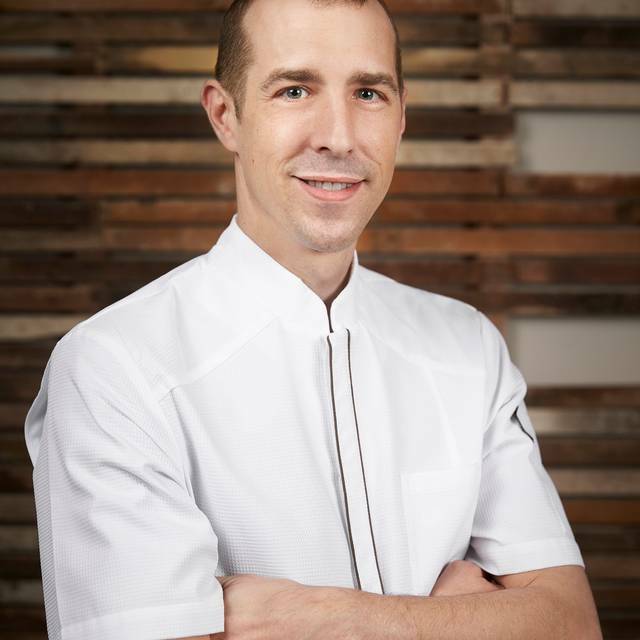 Sababa is now one of our favorite restaurants in DC, we will be frequenting it. Highly recommend Sababa!!! Really great service. Food was excellent. Made the mistake of ordering too much! There was a leak above the table and into the food. Some of the dishes were too salty for my taste. Reception was chilly and snide. The server was friendly and the cocktail quite good. I liked the cucumber pickle. We sat in the back where the noise level tappers a bit which was ideal. The waiter was attentive and the busers hard working (although a little eager to remove unfinished plates from our table). The food was good...some dishes shined brighter than others (creamy dreamy eggplant). Overall, a solid experience. Amazing! Food was excellent! Staff made great recommendations! Can’t wait to go back!! We enjoyed the food very much. Sababa is a great addition to the neighborhood. I really wanted to like Sababa. Reviews were great, so maybe we hit an off night (it was a Monday night). All of our dishes were just OK, hummus needed acidity, eggplant dish was WAY too salty and the lamb shank was dry and lacked flavor. On the plus side, the waiter was very apologetic and the manager did offer to give us a free dessert (which we had to decline since all of the dishes had dairy in them and my friend can't eat dairy!). May try it again, but not what I expected from this restaurant group. This was a difficult experience to rate. The food was outstanding! But one our party’s order was forgotten and since they have a policy of bringing out dishes as they are ready, we shared all the other dishes and 45 min after we ordered we realized that they never planned to bring the dish. The service was average to below average. There was no apology from the server about the kitchen’s mistake and only when we asked the manager did they comp the dish. The concept needs work. Our table was cramped and the dishes were served in a manner very difficult to share. Would not recommend for groups. Very awkward and careless service. Would not come again. OMG! The hummus is incredible — soft, smooth, almost velvety, I’m a hummus aficionado; the only other restaurant that serves hummus this good is Abu Said, in Acco, north of Haifa, Israel! The pitas are baked with sesame seeds on top, and are soft, chewy and tasty, perfect to scoop-up a generous portion of the aforementioned hummus. The tiny “salatim” salads are ok, with interesting spice combinations. The fried cauliflower is really good, as was the tuna crudo, the salmon kebab, and the fried Halumi cheese, but portions are tiny. Took my mom here for Mother's Day. The restaurant was easily able to accommodate a wheelchair, which we greatly appreciated. The food was outstanding - great variety, delicious, and lots of vegetarian options. Another Ashok Bajaj/Knightsbridge neighborhood gem! Started with the fava bean hummus of the day which exceeded all expectations. It was sheer pleasure with every creamy, flavorful bite; the accompanying pita was warm, fluffy and a wonderful accompaniment - worth the splurge to order a few extra, especially if having kebabs; roasted halumi was interesting; dates added a nice sweetness to the mild cheese; cheese was not a soft, oozing cheese but had a spongy texture that was cut into squares; Israeli Salad ingredients sounded ordinary, but it was fantastic; extremely tasty and refreshing; the juicy chicken kebab was cooked to perfection served with a light rice with roasted chili & tomato; the fish of the day was well-travelled, coming from the Red Sea, but as fresh as could be accompanied by two spicy sauces which gave the very mild but meaty fish real zip! The Phoenician Frappe cocktail was terrific; regular G&T okay; wines we selected for our meal were very nice. No room for dessert. Service was professional; didn't have any problem gaining our waiter's attention for the extra pita. Décor is warm and cozy. Even though a bit of a drive for us, my BF & I agreed we would return. Nice addition to the area with fresh, tasty food and a fun vibe.